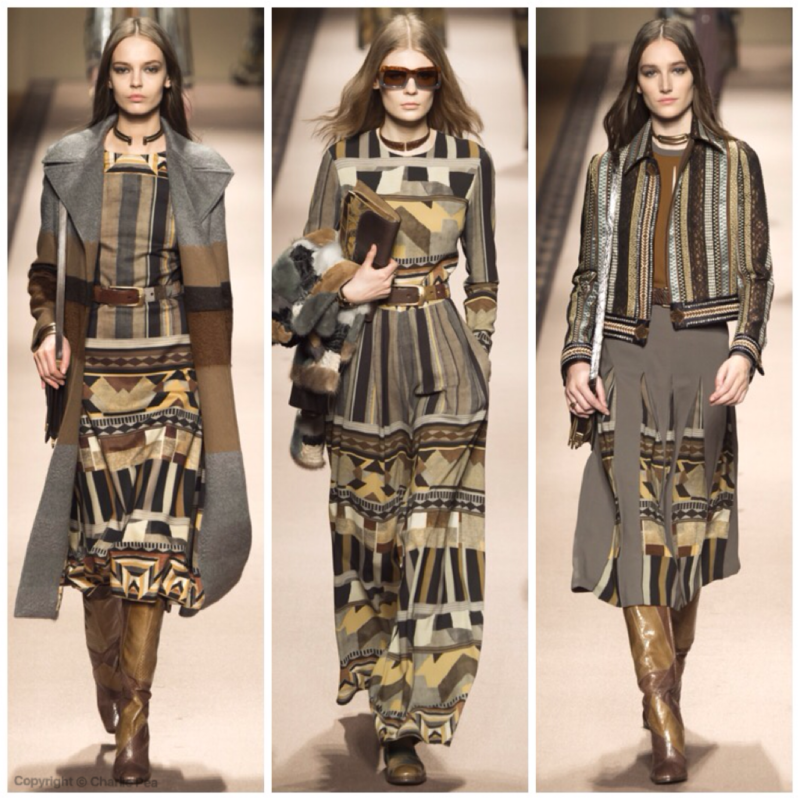 Etro might have got the memo about the Seventies a season too late but it made up for that with a strong and thoughtful collection that promoted putting down the phone for a change and picking up a book instead. These were clothes for women whose heroine wasn’t a celebrity – the models were studious Sylvia Plath types or those who harboured dreams of being Virginia Woolf. But this wasn’t the Bloomsbury set and this wasn’t a “bohemian” collection in the sense of what that term so instantly conjures up. 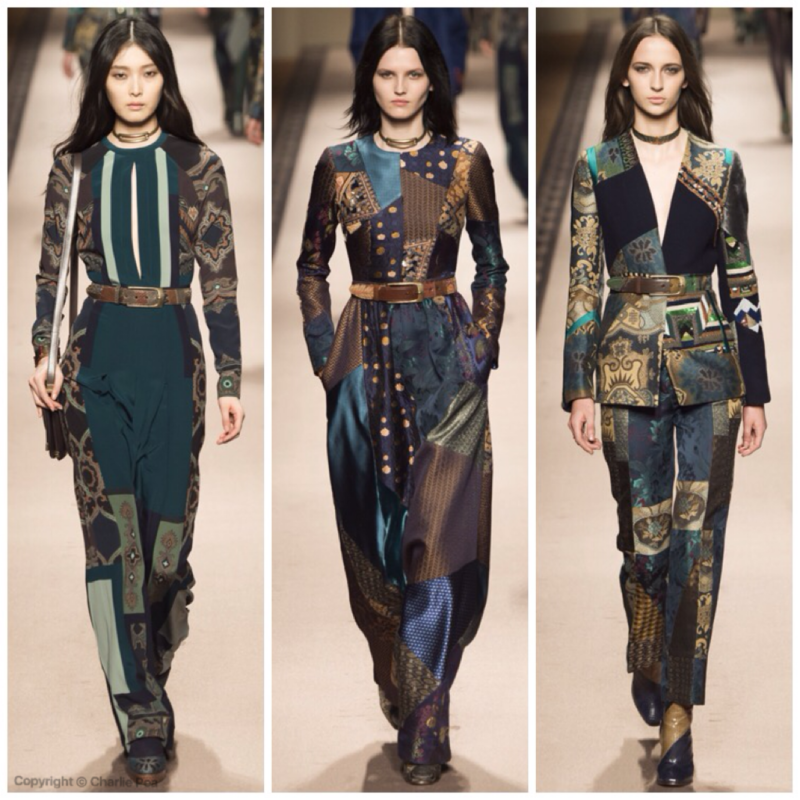 There was thought and romance, a softness, as Veronica Etro’s studious set took to the catwalk holding their clutch bags tight to the chest like books – or as though inside was a manuscript of the best thing they’d ever written. To compound the point, there were pleated skirts that later split off into swinging strands on dresses to move everything on from beyond the school library. 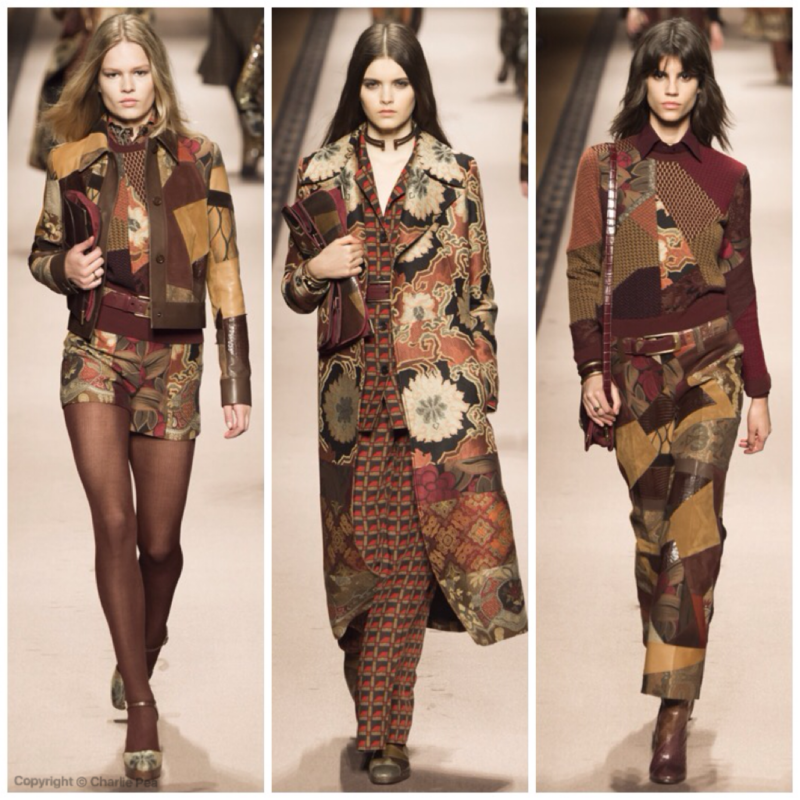 Everything was patchwork and rich in texture, as you’d imagine from a house whose hallmark is just that. On jackets, on coats, on shirts and belted dresses. 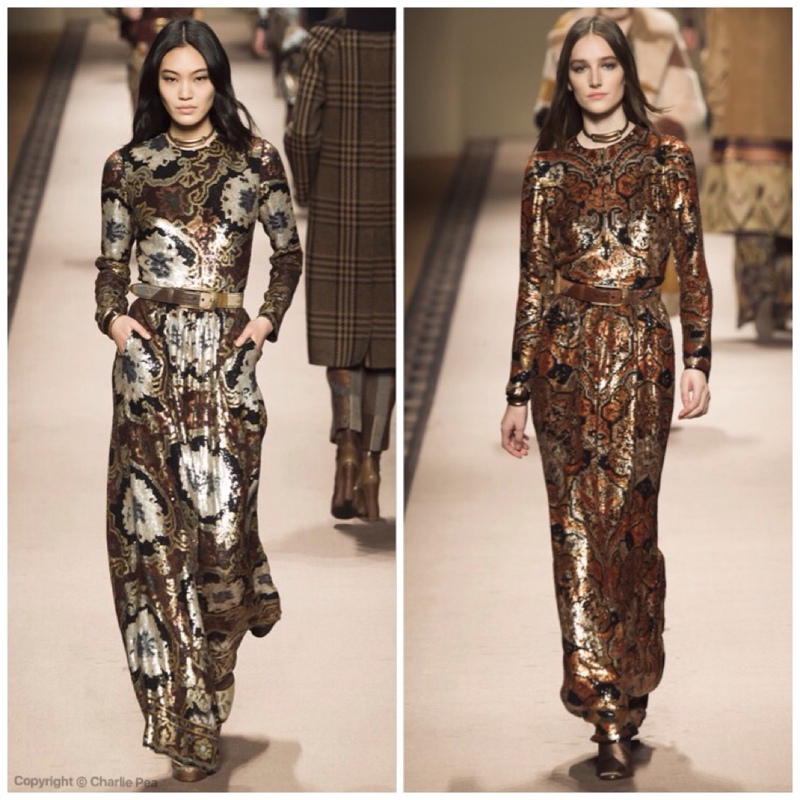 They were knitted, they were brocade, they were camel and they were sandy shades – everything was tonal (which made for a perfect end-of-show parade). This wardrobe belonged to a thinking girl, human touch and craft key to its creation and Facebook, street style snappers a world away. 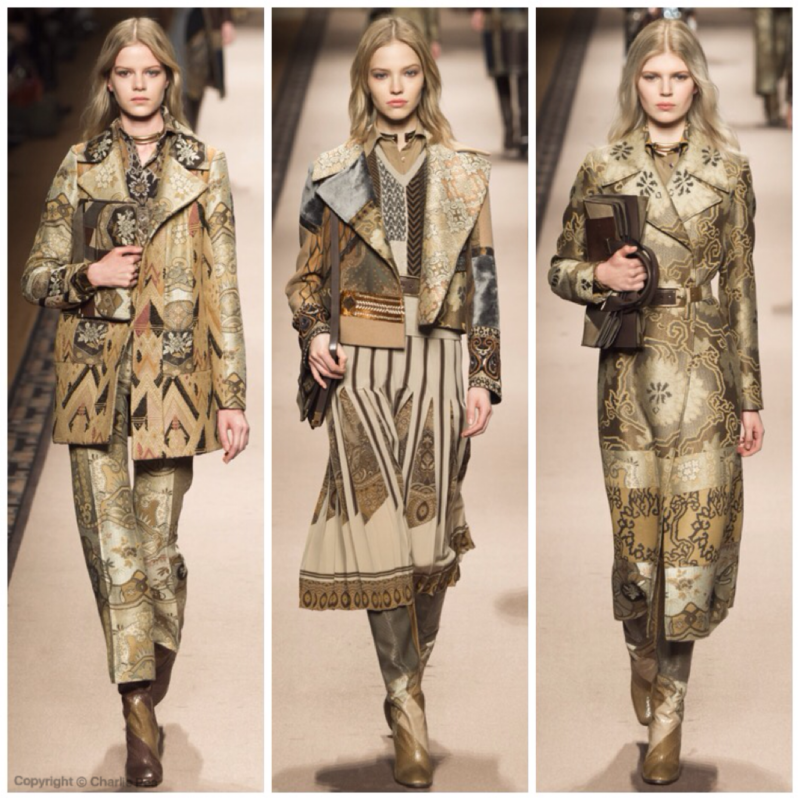 Etro can sometimes go off-piste, but today it got it right – and continued to hit on a mood that’s about going back to the actual clothes, how they’re made and what they’re about as opposed to the fashion fodder wearing them outside a show venue.